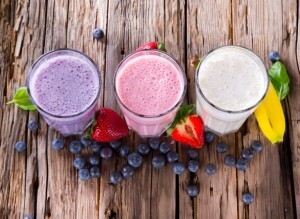 What is it about smoothies? Coast to coast, along the Great Lakes, and even across the pond, it seems like everyone and their mother is indulging in ubiquitous quantities of healthy, blended treats. While some people are looking for a pick-me-up or nutrition boost after a workout, others are just looking for a quick meal on the go. From sweet, berry-centered smoothies to kale, avocado and carrot, the smoothie is a cipher, a variable beast that can taste just as easily like a dessert, a meal, or a medieval punishment, whether you’re grabbing one in Southern California or in a New York Minute. The Niagara region, of course, is no stranger to the current smoothie mania, which means the smoothie-loving traveler to our region shouldn’t ever have to forego her fix. Here are some of the best and easiest places to get a smoothie, whether you’ve decided to hunker down in Niagara Falls or you’re heading into out the hinterland to check out some wineries and see the countryside. Dookes is remarkably well-named. Located on Ferry Street in Niagara Falls, Dookes offers scores of sub sandwich options and smoothies, as well as a nice variety of soups and salads. Their food and smoothies are available for takeout, so don’t expect to get to sit down and hang out, if that’s what you need in your smoothie experience. At Dookes, you’ll get a smoothie that’s centrally located, fast, nutritious, made to order, and perfect for a drive or a treat on the walk back to your hotel. A Jamaican restaurant and juice bar, Kool Katts is a wonder of Jamaican flavor and flair. At the helm is Carlton Francis, a Jamaican-born chef who crafts Kool Katts’ menu with authentically sourced Caribbean ingredients. Located on Lundy’s Lane in Niagara Falls, this small establishment offers excellent Caribbean fare, fresh-pressed juices, and a handful of delicious smoothie flavors. Get a smoothie fix that tastes like its straight out of Jamaica, and should you find you’re hungry for more, come back to Kool Katts for the Jerk Chicken. For a quick and easy smoothie experience where you’ll be able to dictate the ingredients to your heart’s content, Booster Juice is ideal. An international chain, the franchise locations in the Niagara region include Fallsview Casino and the Niagara Falls’ Town and Country Plaza. This is the smoothie place to patronize to if you want protein, fiber, bee pollen, Echinacea, or other health-specific additions to make their way into your drink. Just up the road in Hamilton, you’ll find an excellent and health-centered restaurant called Green Smoothie Bar. An organic and vegan restaurant, almost all the smoothies served here are green (hence the name), but the flavors vary widely. Whether you’re in the mood for something decadent like the seasonal Orange Chocolate smoothie or you need something more in line with obvious health benefits like The Purple Monster — a rare departure from their green theme — everything you get at Green Smoothie Bar will make you feel energized and wholesome. From the center of Niagara Falls out into the farther reaches of the region, the smoothie lover afraid to leave the familiar behind needn’t fret, since smoothies in Niagara are almost as easy to find as tourists and excellent wine.